Cannabis is on track to be an even bigger disruptive force than previously anticipated, according to one of the industry’s top analysts. Vivien Azer, Cowen’s managing director and a leading analyst in the cannabis space, on Tuesday bumped up her forecast for U.S. cannabis sales to reach $80 billion by 2030, an increase of $5 billion from earlier estimates. This would represent an about 4% compound annual growth rate, relative to what Azer estimates is an about $50 billion industry today, and assumes federal legalization. 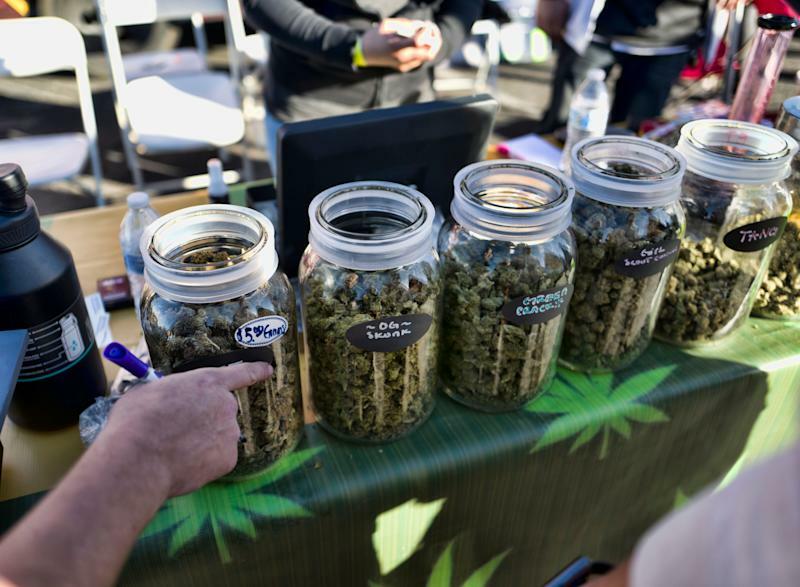 Higher growth expectations in nascent markets as new states legalize medical and adult-use cannabis, as well as higher-than-expected incidence and reengagement rates into cannabis among lapsed users, drove the loftier outlook. "We expect continued growth in newly established U.S. states, and more robust growth in Canada as more supply comes online and new form factors hit the market," Azer said Tuesday. Among the beneficiaries of the rapidly inflating cannabis industry will be Tilray (TLRY) and Canopy Growth Corporation (CGC), which Azer believes will “finally start to see the true benefits of adult use sales and the lapping of upfront investments made in calendar 2018 to scale up ahead of adult use.” Azer carries an Outperform rating on shares of both Canadian cannabis companies, as well as for those of American cannabis packaging company KushCo (KSHB). Azer anticipates that Tilray and Canopy Growth Corporation will see triple-digit revenue growth in 2019 as additional capacity comes online. Her prediction comes even as the two companies have posted disappointing earnings results in their latest reports. In the third quarter of 2018, Tilray reported revenue growth of 86%, but pinched gross margins and lower average selling prices. And Canopy Growth Corporation in November reported its first quarter-on-quarter revenue drop in at least three years. Despite pot stock volatility, 2018 was a monumental year for cannabis amid loosening legal restrictions domestically and abroad as well as a host of M&A action tying cannabis frontrunners to traditional companies in the consumer space. Following the midterm elections, Michigan became the 10th U.S. state to legalize adult use. New Jersey, New York and Illinois are the next most likely to follow suit, Azer predicts, given more weed-friendly sentiment among many state lawmakers. One of the biggest landmarks was the legalization of adult use in Canada, the first Group of Seven country to allow recreational use of cannabis in mid-October. But Canada’s legalization has not been without its bumps, Azer noted. Inadequate supplies and a lack of stores in populated areas such as Ontario hampered the successful roll-out of adult-use weed. CEOs of Canadian cannabis companies anticipate continued supply shortages for the next 12-14 months. But that also points to “robust demand,” Azer noted, adding that she expects that the adult-use market in Canada will generate retail sales of C$3.1 billion (or about $2.3 billion) in 2019, including taxes. In the U.S., recent consumer use rates exceeded Cowen’s expectations. While Cowen modeled for cannabis incidence of 21% for 18- to 25-year-olds and 7.6% for users 26 and over for 2017, actual data from the National Survey on Drug Use and Health came in at 22.1% and 7.9% for the two major age demographics, respectively. Within the U.S., an observed pattern of heightened reengagement among users also helped drive Azer’s heightened sales prediction for 2030. This means that a higher percentage of users who had stopped using cannabis products for one reason or another have returned to cannabis use. Cowen’s proprietary consumer survey found that about 39% of cannabis consumers who said they’d used cannabis at least once in their lives also reported being a customer in the past month, up from 30% in September 2016. Increased adult use for cannabis could also threaten to cannibalize consumption of other products typically used as social lubricants, such alcoholic beverages. Azer called 2018 the “worst year for beer sales in the near decade we have been covering the alcohol industry, and we continue to believe that growing cannabis use is a factor.” Based on a Cowen’s survey beer was the most popular alcoholic beverage among current and former cannabis users, and 60% of consumers cited a reduction in alcohol consumption when mixing the two products. While only about 20% of consumers reported perfect substitution, “What you’re really worried about is this marginal alcohol unit,” Azer said. Azer’s more trepidatious outlook on alcoholic beverages comes following a slew of M&A and partnerships between cannabis companies and traditional alcoholic beverage players. AB InBev (ABI.BR), the world’s largest brewer, partnered with Tilray in a $100 million joint venture to research cannabis-infused non-alcoholic drinks for the Canadian market, the companies announced in December. The Canadian unit of Molson Coors Brewing Company (TAP) teamed up with cannabis producer Hydropothecary Corporation (74H.F) for a similar venture in August. Constellation Brands (STZ) recently closed about a $4 billion investment in Canopy Growth Corporation, giving the Corona-brewer access to an international market as well as a suite of cannabis products including vapor pens, a form factor comprising about 20% of the U.S. market. “I would expect all of the large global alcohol players are paying attention to this,” Azer said, referring to opportunities for tie-ups with cannabis companies.